[post_ads_2]If you've ever tried to search the meaning of specific operations and characters in programming languages, you know how frustrating it can be. You'll often have to append the name of the language to the search, or try surrounding it in quotes to only show exact matches. 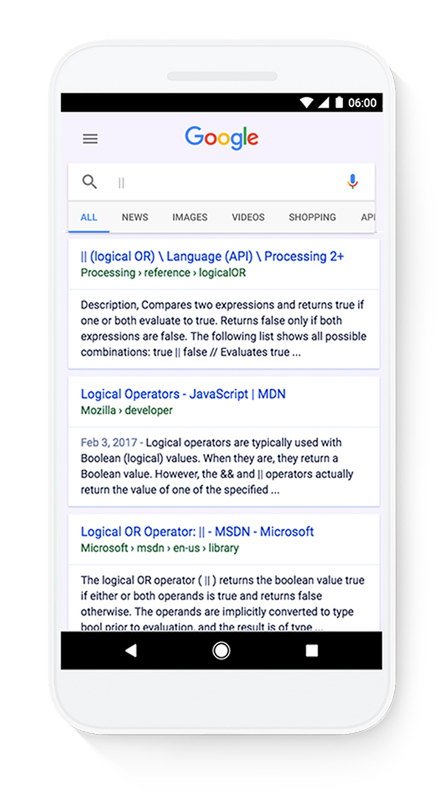 [post_ads_2]Now Google has vastly improved searching for special characters and operations in programming languages. For queries of 2-3 special characters, such as === or !=, Google returns the meaning in terms of programming. This should be a huge help to developers (myself included), but this change also improves searching for product names or organizations with punctuation, like Notepad++. This functionality should already be live for everyone using Google search.